Another long and cloudy hike had me at the edge of a 3000ft drop! I knew I had a shot there, I just couldn't find all the elements I was looking for. Then I saw a single red flower a few feet from the edge. 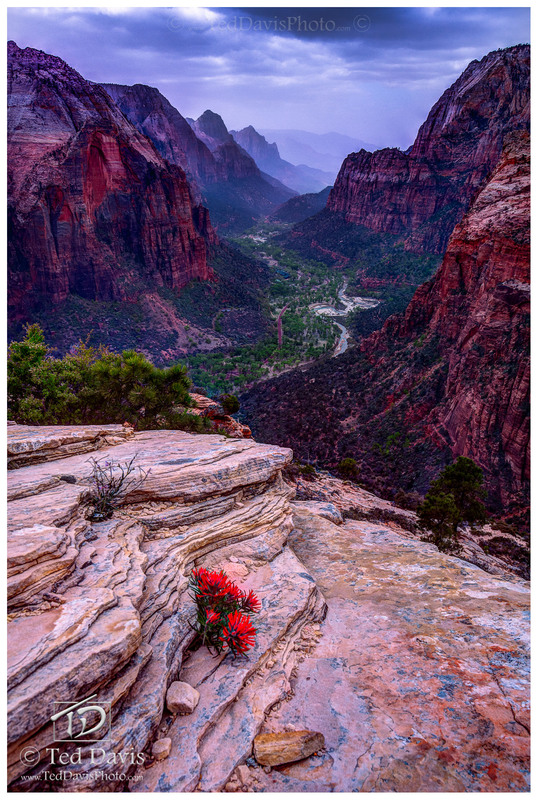 Looking out with the Zion canyon stretching out, and thunderclouds rolling in, I saw the true power of mother nature. Photo © copyright by Ted Davis.